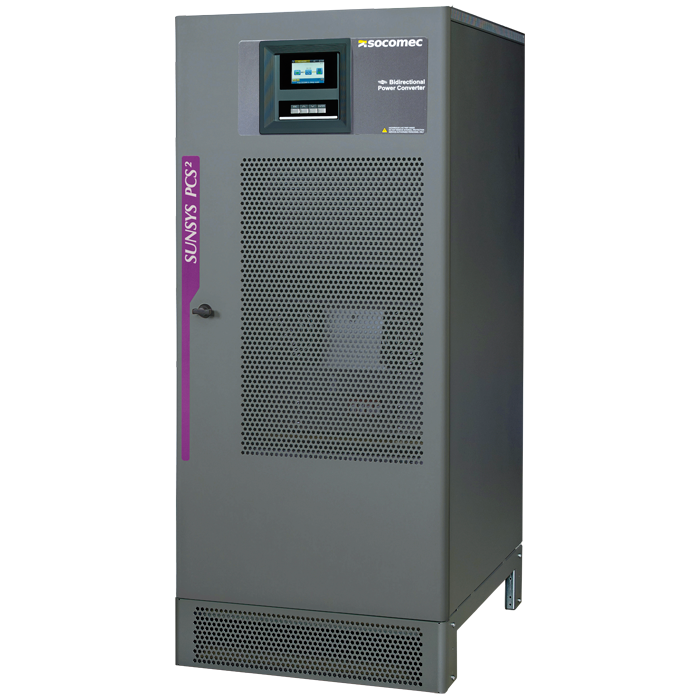 Reliable power converter for on-grid applications. SUNSYS PCS2 is a modular bidirectional power converter for energy storage. With its modular parallel configuration, several MW can be reached. Perfect solution to reduce peak consumption and to maximize PV energy self-consumption. SUNSYS PCS2 also manages the intermittence of renewable energy production and when connected to the grid, this converter improves the stability of the grid and the management done by the utilities.